Rio Olympics 2016: Who is PV Sindhu, the badminton queen? Pusarla Venkata Sindhu created history on Thursday after she became the first Indian woman to enter the final of badminton in Olympics. She outclassed 6th-ranked Nozomi Okuhara 2-0 (21-19, 21-10), assuring India of another medal in Rio. 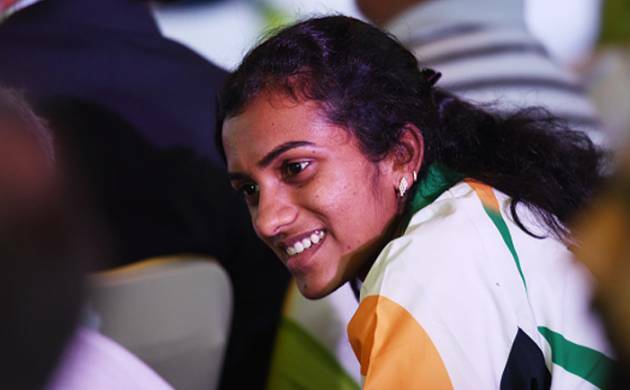 Indian Shuttler PV Sindhu, ranked 10th in the world, scripted a new chapter in Indian Olympics history as she won a silver medal for India in women’s singles badminton at Rio Games on Friday. She created history on Thursday after she became the first Indian woman to enter the final of badminton in Olympics. She outclassed 6th-ranked Nozomi Okuhara 2-0 (21-19, 21-10), assuring India of another medal in Rio. Coming a long way, Sindhu, who once at the age of 16 watched Saina Nehwal win bronze at the 2012 London Olympics, became India’s lone badminton hope in 2016 Rio Olympics. "The biggest dream I am chasing now is an Olympic medal. I remember watching Saina in London. Then I was ranked World No. 25. I always longed to be there and I am all excited to represent India in Rio,” she said prior to the game. Sindhu who is currently ranked no. 10 in the world, broke into the top 20 in 2012. The highlights of Sindhu’s game so far have been her ierce strokeplay and aggressive cross-court returns. Making her first mark in 2013, she won her maiden grand prix gold at the Malaysian Open. At Macau Open, she won the first of her hat-trick of titles. The Arjuna award was a bigger reward. Sindhu’s iconic mentor Pullela Gopichand has been an inspiration for her and she began wielding the racquet when she was just eight-year-old. In 2014, she received the FICCI Breakthrough Sportsperson of the Year award. This was the year when she won her second consecutive medal at the World Championships. “The most striking feature of Sindhu’s game is her attitude and never-say-die spirit,” said her coach. Sindhu became the youngest recipient of the Padma Shri, India’s fourth highest civilian honour, in March 2015. After Olympic bronze medalist and No. 2 Saina Nehwal, Sindhu is the second-highest-ranked women’s singles player from India.